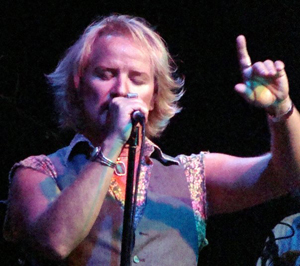 Mark Andrew Lennon is best known as the blond-haired lead singer of the band, Venice, although his list of musical credits is lengthy and versatile. 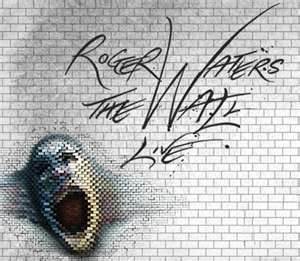 Mark has toured with Cher and Phil Collins, and most recently joined Roger Waters of Pink Floyd on the highly successful world tour of “The Wall.” A well-respected and sought-after session singer, Mark has sung back up for Don Henley and Billy Bob Thornton, among others. He is also part of the cover band, The Pine Mountain Logs. They perform publicly and privately, wowing their audiences with familiar danceable and popular songs from the 70s, 80s and 90s as well as current chart toppers. Mark Lennon’s life has revolved around music since he was born on March 28, 1963. His cousins are the famous Lennon Sisters and his father and uncles sang professionally as The Lennon Brothers. 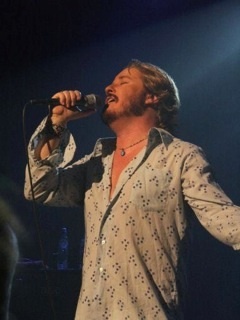 Mark himself began his professional singing career at age 14 when he joined the band Venice with his cousins Pat and Kipp Lennon, and older brother Michael. 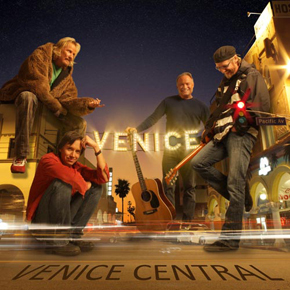 Born and raised in Venice Beach, California (hence the band’s name), their signature sound is distinctly “Californian” reflecting early influences from another So Cal band of brothers and cousins, The Beach Boys, as well as Crosby, Stills and Nash, and The Eagles. 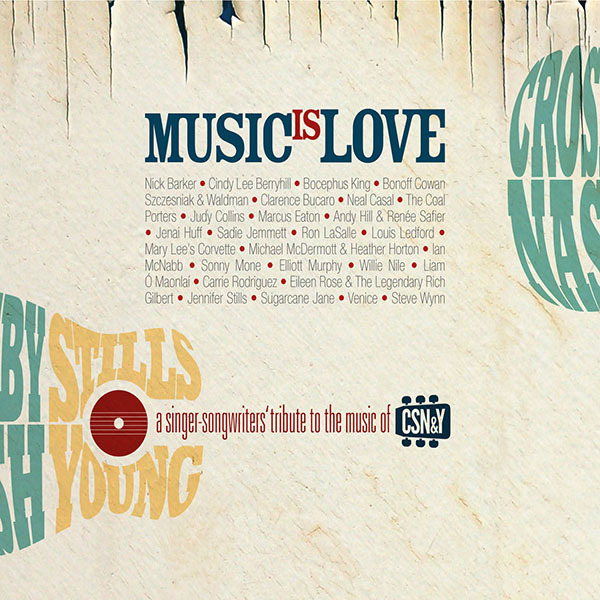 Mark’s voice lends itself to everything from romantic ballads to rock and funky blues. One might hear him sing the “Ave Maria” a capella and “Desperado” in the same set during a Venice performance. As a live performer with a powerful stage presence and abundant charisma, Mark Lennon holds an audience in the palm of his hand. His behind-the-scenes credits include voiceovers for Disney and any number of commercials for television and radio. 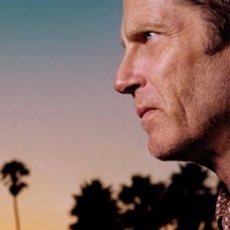 In addition to his work with Venice, Mark has written and performed solo over the years. 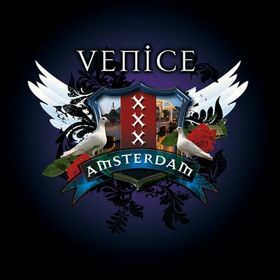 Venice is very popular in The Netherlands and Mark has toured there numerous times with the band and also as a solo artist. 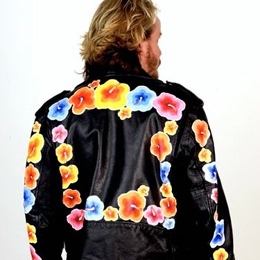 A consummate artist, Mark also draws and paints, designs jewelry and created a popular line of painted clothing, all of which he sells through this website along with his solo CDs. Personable and approachable, Mark makes time for his many fans, often doing post-performance meet and greets with Sharpie in hand, happy to sign merchandise or pose for photos. He’s lent his vocal talents to many fund-raising efforts and is much beloved for not only his fine voice but for his generous heart. As the youngest of 13 children, Mark is very family oriented. He is constantly attending, hosting, or participating in family functions with siblings, aunts, uncles, cousins, nieces and nephews and somehow manage to keep up with extended family and friends as well. He enjoys traveling the world, dining out with friends, going to movies, dancing, body surfing, water skiing, and jumping off high cliffs into lakes and seas whenever possible. All things combined, Mark’s look and talents appeal to a wide range of audiences, young and old, all around the world.